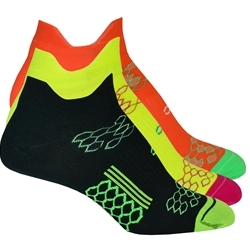 SecondWind® Double Tab Socks are just what you need for track, field, and even office. Their unique design allows for easy pull-on and removal, while they fit snugly enough to not slip off on their own. They are comfortable enough for every day, but strong enough for when you need them the most!